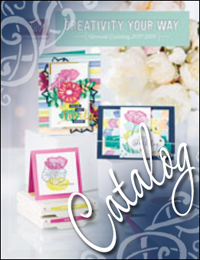 In case you are just joining us, we are a group of nine out of twenty Stampin' Up! demonstrators who were selected as finalists in the 2012 Artisan Design Team competition. We didn't make the design team, but we thought you would still enjoy seeing our projects. There are a lot of talented ladies on this blog hop, so we hope you continue to join us each day for our ten day event. If you are making the rounds, you should have just arrived from Mindy (Bingamon) Backes' blog. One of the things I try to do with my entries is make sure they are appealing on the inside as well. Just by switching out the sentiment, this could easily be a birthday card for my dad instead of a Father's Day card. Of course it isn't either, because I sent it off to SU. LOL! Next up is the amazing Holly VanDyne. Four more days to go, so be sure to check back tomorrow for more great projects. If you get lost, you can scroll down to yesterday's post for a list of blogs. INGREDIENTS: Card Stock: Early Espresso, Crumb Cake, Very Vanilla, First Edition DSP; Stamp Sets: Sunflower, Sweet Floral, Delightful Dozen; Classic Ink Pads: Basic Black, Early Espresso, Crumb Cake; Stampin’ Write Markers: More Mustard, Chocolate Chip, Always Artichoke, Early Espresso; Other:Big Shot, Timeless Type Jr. Alphabet, Stampin’ Sponge, Anywhere Glue Stick, Stampin’ Dimensionals, Tombow Multipurpose Adhesive. Tags: 2012 Artisan Design Team Finalist, Stampin' Up!